strings command against a firmware image not show any human readable strings. Entropy command returns Falling entropy edge (0.689208) Or possibly, binary image is neither encrypted nor compressed? 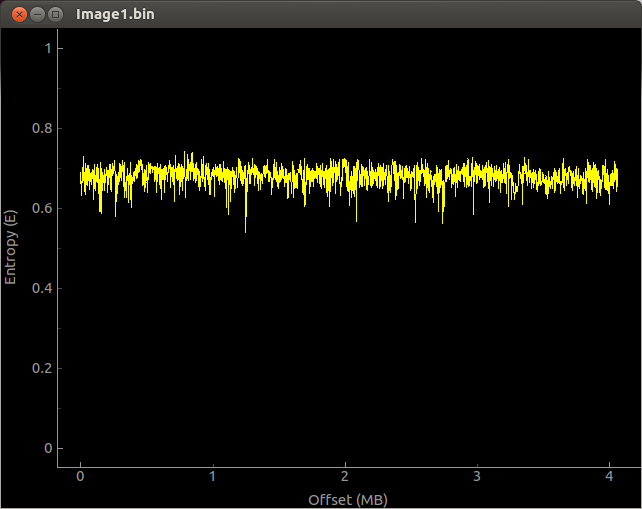 So, it really looks like a raw MIPS binary to me. I guess that this firmware is for a router or something similar. You should just force your disassembler to take this file as raw MIPS and process it. Note: A 'raw binary' is just a file with raw opcodes in it without any specific recognizable format (such as ELF, PE or Mach-O). Raw formats are just intended to be mapped directly in memory without going through an operating system first. It is very common in the embedded software World. Not the answer you're looking for? Browse other questions tagged binary-analysis firmware embedded binwalk or ask your own question.